For the Love of Eli is one of more than FOUR MILLION copies of Loree Lough’s books in circulation. Loree has 98 books, 68 short stories, over 2,500+ articles in print. Loree loves sharing learned-the-hard-way lessons about the craft and the industry. Her comedic approach makes her a favorite (and frequent) guest of writers’ organizations and book clubs both here and abroad. 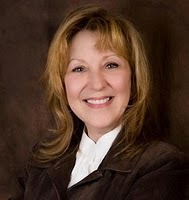 A writer who believes in “giving back,” Loree dedicates a portion of her income to Soldiers’ Angels, Special Operations Warrior Foundation, and other worthwhile organizations. When unspeakable tragedy leaves young Eli an orphan, two families are devastated. But Taylor, Eli’s aunt and legal guardian, vows to help him remember his parents by creating a Memory Quilt. As she begins piecing together the moments of his parents’ lives, the story of the young family emerges and Taylor and Eli begin to heal. A great read for Fall! Enjoy jumping into the world of Eli and Reece and find out where they will take you!